You want your website to be listed in the search engine index and for that you do a lot of things. 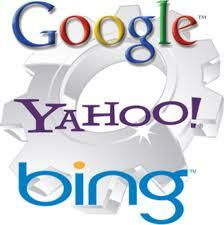 Search engine submission is just one of them that allow you to directly submit your website to a search engine. Although, usually you don’t require to perform search engine submission as the major search engines like Google, Yahoo, and Bing use crawlers, bots, and spiders that eventually would find most web sites on the Internet all by themselves, still in case your require to do so you must be well aware with its myths, the respective truths and guidelines to avoid wasting time and effort both. Let me walk you through them so that now onwards you don’t waste time on something that’s not required while doing search engine submission. Myth: Your website must be submitted to search engines for them to index your WebPages. Truth: As we discussed just now that the major search engines like Google, Yahoo, and Bing use crawlers, bots, and spiders that eventually would find most web sites on the Internet all by themselves. So, you need not worry about this instead pay your attention towards those pages that you don’t want to be indexed by the search engines such as (system generated pages, admin pages, blank pages, media attachment pages and so on). Truth: Search engine submission will of course help your business getting listed to the search engines ‘indexes, which search engines are anyway going to do but there are only three things that are going to have any impact on your search engine ranking and that are quality content, thorough on-site SEO, and good quality backlinks. Before you submit your website to search engines, make sure you have done the onsite SEO of your website that includes meta tags, heading tags, content formatting, bold text, etc. With the help XML Sitemaps you can prioritize the significance of your websites pages and help the search engines in giving more prominence to your key pages. This is why you should create an xml sitemap of your website and submit that. If you want to use software to submit, you must manually submit your site to the top four – Google, Yahoo, Bing and Ask as it is very important for that. For example you can create a Google webmaster tools account to submit. Submitting your website to every search engine irrespective of the type of your business might attract unnecessary spam to your website. Hence, be careful and submit to only those search engines which are relevant to your business or website.